Obituary for John "Copper John" Sawran | Cheche Funeral Home Inc.
John “Copper John” Sawran, 94, the husband of the late Mary Colella Sawran, formerly of East Genesee Street and Genesee Gardens, died Sunday, Oct. 21, 2018, at Auburn Community Hospital, surrounded by his loving family. John began his service to our country with the United States Marine Corp. With the war looming on the horizon the hull to the famous USS Intrepid was laid. By the time it first set into combat in the Pacific, with John on board, until the end of the war, John had the honor of most likely being the only surviving crewmember left to this date. He served on the “Big I” as a Marine 20mm Anti-Aircraft Gunner, fending off air attacks from gun emplacements full of burning aviation gas. His service records read like the history of naval warfare in the Pacific. Stemming from the battle for the Marshall Islands, February of 1944, Tuk Atoll, 17 Feb, 44, Palau and the Carolines 6 Sept 44, strikes on Mindanao 9 Sept 44, Invasion of Palau 11 Sept, 44, strikes on Luzon 21 Sept 44, Strikes on Okinowa, Ryukus and Nanci Shoto 10 Oct, 44, Leyte Gulf Oct, 44 and Liberation of the Philippine Islands. During this time, his boat was torpedoed on multiple occasions and hit by numerous kamikazes taking the lives of many of his fellow gunners and crew members. Pursuant to this, John as one of the few Marines on board had to act as honor guard during burials at sea. Serving during these ceremonies, he recounted that one of his hardest moments in the military was hearing the body bags weighted with a 5” artillery shell at the bottom, would hit the water with such a unique, horrifying sound. 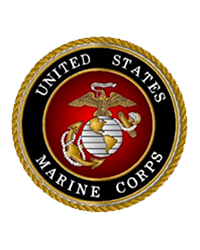 During Korea, John was recalled to the Marine Corp. He served at the Marine Barracks in Washington, D.C. providing honor guard service for President Harry Truman. Following his time in the service, John became a trusted and faithful member of the Auburn Police force for 25 years. During this time, his jobs included patrolman as well as motorcycle officer. John was known for his effective and passive ways of dealing with short fused situations. During an off work period in the early 1960s, John Sawran met his future boss, Teddy Cheche. They formed an inseparable bond that lasted a lifetime. Johnny worked for Ted at the funeral home until he was over 90 years old. The relationship was all encompassing, including John working tirelessly as lead carpenter on the reconstruction of the Cheche Funeral Home in 1979. John had a profound work ethic. He simply loved it. His jobs included working at Mohegan’s Grocery, Van’s Bakery, working for C.N. Flagg; as well as the Labor Union in Connecticut. John also worked at his son Mike’s businesses both at Sawran Over Head Door and the Carnival Ice cream shop in the Grant Avenue Plaza. He is survived by four sons, Dan and his wife, Barbara, of Florida, Dennis, of Nevada, Mark and his wife, Lori, of Hawaii, and Michael and his wife, Shelley, of Auburn; three daughters, Joanne Lorenc and her partner, Susan Johnston, of Auburn, Mary Beth Sawran, of Florida, and Susan Sawran and her husband, Allen Johnson, of North Carolina; dear friend, Dorothy Richards; 15 grandchildren; 19 great-grandchildren; and several nieces and nephews. In addition to his parents, John and Anna Horbel Sawran, and his wife, Mary, John was predeceased by two sons, John and David; brother, Bill Sawran; and three sisters, Jennie Marintez, Anne Olusczak, and Mary Sroka. Friends are invited to join the family for a Mass of Christian burial to be offered at 10 a.m. Thursday in Sacred Heart Church. Burial with full military honors provided by John’s honored Marine Corp. will follow in St. Joseph’s Cemetery. Calling hours will be held from 2 to 4 and 7 to 9 p.m. Wednesday at the Cheche Funeral Home Inc., 1778 Clark St. Road, Auburn. Contributions may be made in memory of John to the Child Advocacy Center, 17 E. Genesee St., Auburn, NY 13021.